The Palace of Versailles, a famous world heritage site listed by UNESCO since 1979, is at the same time a royal residence, a museum of the history of France created by Louis-Philippe and a national palace that has played host to the French Parliament in Congress. Besides its three historic residences – the Palace of Versailles, the Grand Trianon and the Petit Trianon – the estate of Versailles boasts a large Baroque garden designed by André Le Nôtre with groves and fountains, the gardens of Trianon and Marie-Antoinette’s Hamlet, a wooded park located beyond the Grand Canal. Stretching out over more than 800 hectares, the estate of Versailles welcomes over 10 million French and foreign visitors each year who all come to admire the collections composed of over 60,000 artworks including paintings, furniture, ancient books, drawings, sculptures, prints, objets d’art and coaches. The former royal residence is a textbook in its own of the history of France from the 17th century to the present day, and is a symbol of French art de vivre and the taste and skills of excellence. Forever anchored in the present thanks to the importance it places on creation (a programme of shows, contemporary art exhibitions, promoting artistic craftsmen and women etc. ), the Palace of Versailles’s reputation continues to spread across the world. 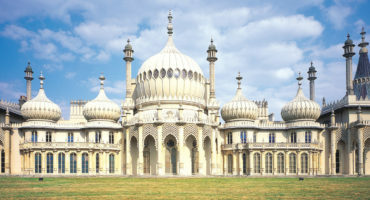 The Palace first started working with 3D technology in 2010. Several 3D projects have been launched since then, one of the most recent being the virtual tour of the Queen’s Hamlet, which is located in the Estate of Trianon. The hamlet is a model village recreated by the Queen Marie Antoinette in the 1780’s. Eight of the buildings in the Hamlet as well as the six main rooms in the Queen’s House have been modelled in 3D. Thanks to 3D technology, the Queen’s House and its little rooms can be made accessible virtually to everyone. In 2018, The Palace of Versailles is offering a virtual reality experience with the application “Experience Versailles”, created with Fondation Orange, which allows visitors to relive the visit by the Ambassador of Siam to the Court of Louis XIV in 1686 and the Yew Ball held by Louis XV. The 3D models that constitute the virtual tour of the Queen’s Hamlet are all available on Sketchfab and they have also been embedded on the Palace of Versailles website in a dedicated long read. Thanks to 3D technology, the Hamlet and the Queen’s House can be made accessible virtually to everyone. After the reopening of the Queen’s House in May 2018, this virtual tour will provide the opportunity to reach a wider audience and present this unique place to many more people. A technique called photogrammetry was used to create 3D models of the exterior of the Hamlet. Photographs were taken by drone and manually, the aim being to obtain as many pictures as possible (between 1,000 and 5,000) in order to recreate a maximum amount of detail. 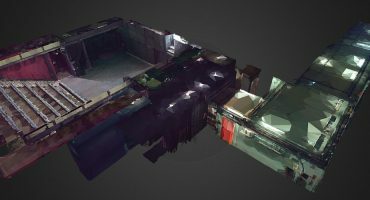 Photogrammetry software was then used to process the images, finding points of concordance between all the photos and recreating the desired object in 3D based on a point cloud. In order to create 3D models of the interior of the Queen’s House, the teams used a combination of photographs and laser scanning surveys. The Palace of Versailles is a listed historic site and several challenges in particular had to be faced with regards to the interior of the Queen’s House. The building was very recently refurnished and the rooms in the House are small and fragile. No equipment could be placed on the floor, and no items from the collections or pieces of furniture could be touched or moved. The teams had to adapt their work accordingly and respect the building and the preventive conservation guidelines. 3D technology plays an important role in promoting the Palace of Versailles and making it better known. Although it is not a substitute of a visit of the place itself, it does give visitors a different experience and is innovative and accessible to many more people. It also allows us to reach new audiences by sparking interest in the Palace of Versailles. 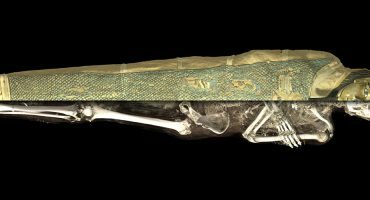 From a scientific point of view, 3D technology and photogrammetry also contribute to research by providing very detailed records of the collections. 3D technology is also very useful for recreating places and features that no longer exist. View all of the 3D models of the Queen’s Hamlet on the Palace of Versailles Sketchfab account, discover the virtual tour on the Vivez Versailles website and follow us on Facebook, Twitter, Instagram and Youtube. wow this place is breathtaking!! Great work ! Just a short remark : the king is never called “Louis-Philippe” (even it’s his real firstname) but you should use the name Louis XIV, which is most famous.